Catch Mr. Undseth in Chapel as he shares the basics of the Creation story HERE>> Is this email not displaying correctly? 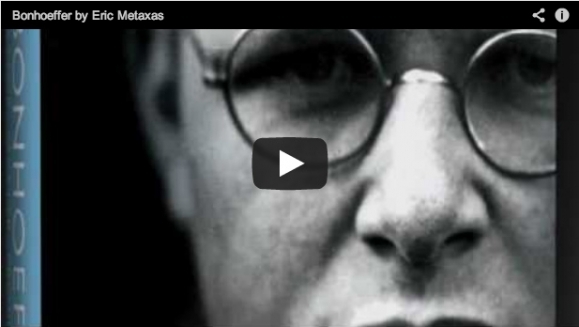 This week's Principal's Blog introduces Eric Metaxas' book on Detrich Bonhoeffer with a short video and a short picture of how Hillcrest is working to instill a Bonhoeffer-like resolve into the hearts of students to live a life of significance. This past weekend was a highlight for many high school students. The annual President's Day Winter Weekend is a Christian Camp's highlight for the winter. Both Tuscarora and Inspiration Point Bible Camp held special gatherings. Hillcrest students unable to make the trip to Tuscarora to attend Winter Weekend put together a short video testimony and greeting for their friends. You're able to view the video on the Campus Ministries Blog. Secret Brother week is a time at Hillcrest where female students secretly bless their friends with gifts and goodies in celebration of Valentine's Day. The week ends with the girls revealing their secret identity to their adopted brothers for the week and the brothers return the favor with goodies or a dinner for their secret sisters. Liz Peterson took a camera around during one of the days to give you a glimpse of some of the fun happening in the halls during the duldrum months of winter. To watch the short highlight visit the Campus Ministries Blog. A number of scholarships are nearing their deadlines as graduation approaches. A local scholarship that is highly revered is the Mike Rohde Spirit Scholarship. The Mike Rohde Spirit Scholarship Award Board, the Fergus Falls Sertoma Club, and the Rohde family founded the Mike Rohde Spirit Scholarship Award in 2002. After Mike’s untimely death of a hereditary heart disease in 2000 at age 51, the Mike Rohde Foundation was established to administer a scholarship award in his name. The award is meant to honor an individual who embodies the warm, fun-loving, and energetic spirit of Mike and his dedication to contributing to his community. The Mike Rohde Spirit Scholarship Award Board highly recommends that all senior students be aware of this Scholarship and the deadline of March 29th. Please be aware that the selection committee looks very closely at all applications and considers many factors in addition to academic performance. The committee is looking for an applicant who has the greatest potential to succeed. The scholarship award is $1500.00. To download the application please CLICK HERE. The Comets have a busy week starting Saturday morning at Park Christian, Battle Lake and Underwood. Game times are listed on the Comet Practice Schedule. Hillcrest's Concert Choir is gearing-up for the spring tour with a local tour to Bethlehem Lutheran Church and Good Shepherd Lutheran Church. Hillcrest's Knowledge Bowl team will represent Hillcrest at the Concordia Moorhead meet this Wednesday. They will depart at 7:40am and return to HLA at approx. 3:30pm.